For best results and reliability on coating thickness measurements, we supply a range of the highest quality instruments manufactured in the UK by Sonatest. Please consult with us if you require assistance on coating gauge selection since each gauge has been designed for specific applications. 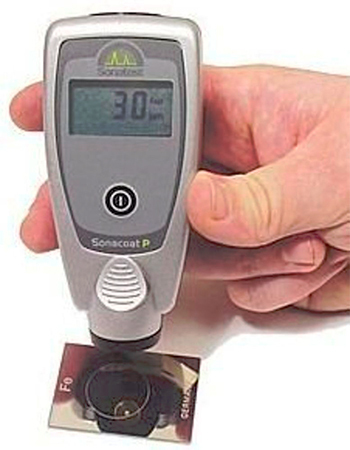 Sonacoat P is a coating thickness gauge that protects your surface. It does not damage or scratch and no grinding is required. In the application of digital coating thickness measurement there are two field proven inspection methods; the Magnetic method and the Eddy Current method, (DIN EN ISO 2178 and 2360). 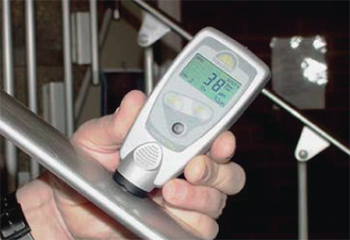 The Sonacoat Easy F measures the thickness of coatings on steel up to 1.4 mm. Ideal for Paint and powder coatings, Paint Shops, Automotive and Ship Building e.g. 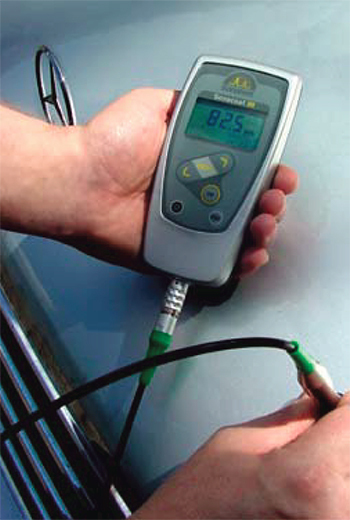 verification of zinc coatings under paintwork. The Sonacoat Easy F is a coating thickness gauge with an integral probe; optimized for simple applications, providing reliable results, with minimal set up requirements or training. Fast, precise measurements are achieved with greater accuracy on flat, rough and curved surfaces. 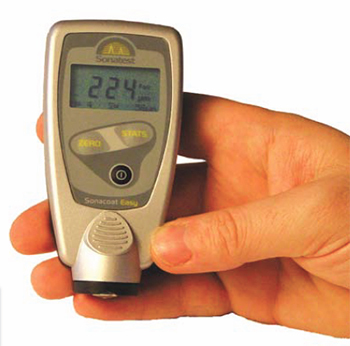 The Sonacoat Easy FN measures the thickness of coatings for all materials. Ideal for Paint and powder coatings, Paint shops, Automotive and ship building. The Sonacoat is designed for fast, practical and accurate non destructive coating thickness measurement. A dual purpose innovative gauge used for measurement on steel and non-ferrous metals with automatic substrate recognition, activating the appropriate measuring procedure. The Sonacoat Easy FN is coating thickness gauge with an integral probe; optimized for simple applications, providing reliable results, with minimal set up requirements or training. Fast, precise measurement are achieved with great accuracy on flat, rough and curved surfaces. The Soncoat Easy FN model Also measures non-conductive coatings on non-magnetic metals with automatic substrate recognition. The Sonacoat III is compact and lightweight with multifunctional menu driven performance for fast, practical and precise Coating Thickness Measurement with separate exchangeable probes. It can be used for all types of varnish, paint and electroplated coatings on iron and steel as well as varnish, paint and anodizing coatings on iron/steel and non-ferrous metals and on austenitic stainless steels. The Sonacoat III is suitable both for the laboratory and for use in harsh field conditions. The IP52 rating gives protection against dust and dripping water. Never has gauge operation been so clear and so straightforward! Data processing is straightforward and fast. No cables are required - data can be transferred to a notebook or other equipment via an infrared interface. There is no worry about connector damage, no time wasted in attaching cables. Three models of the Sonacoat III are available.